What can you speak into existence? Once upon a time I was a skeptic. Okay maybe not that long ago, less than a year ago actually. Then a friend mentioned “speaking things into existence.” Now I wasn’t sure if it was the latest slang/mantra/spirituality/religious sensation so I was a skeptic. Then I found myself having a “woe is me” drama queen moment and decided to speak something into existence. And it worked! Now I do it all the time. Before you start thinking “duh, confidence breeds success,” speaking things into existence is not confidence. I have confidence. In fact, I was consciously trying to become less confident because I was borderline arrogant (to some people). Getting back to speaking things into existence. I’m resisting the urge to list the things I’ve spoken into existence because I don’t like to brag. I will say that I spoke 2012 into being a fabulous year and it’s already off to a fabulous start. Okay, okay, I’ll spill. Besides, it’d be pointless for you to read my blog if I never shared tidbits of my life with you. The thing I spoke into existence that I never thought would happen in my lifetime is…I’ll be living in CUBA for part of the summer! 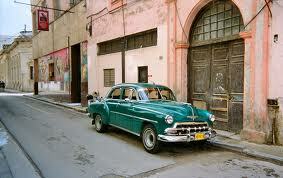 Now I’m not going to lie and say I’ve wanted to go to Cuba my whole life. The fact of the matter is Americans are banned from spending money there thanks to the whole trade embargo. I’m not going to get into politics, but in the back of my mind I always thought it’d be nice if one day I were able to go. 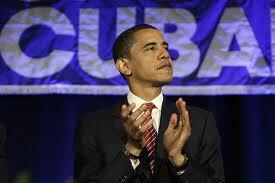 So when I found out my school offered a program in Havana, I applied, spoke it into existence and was accepted. Just so you know, I’m resisting the urge to use exclamation marks and write interchangeably in Spanish, but in my mind I’m speaking a beautiful intermingling of English and Spanish commonly referred to as Spanglish. I was wondering how long the excitement was possible to sustain, and well it’s been a month since I was selected and I’m still excited. I am a bit nervous though. After all, I won’t be able to use my cellphone and internet access is hard to come by in Cuba so I’ll be pretty much cut off from the outside world for my time there. Then again a lack of connection to the outside world will allow me to become fully immersed in Cuban culture so I’m still glad I spoke it into existence :-). Congratulations ! I hope your stay there will be productive and fun ! I definitely believe in the power of positive thinking. I’m sure your stay in Cuba will be amazing!